SAFE (Sports Activities for Everyone) is a rolling programme of different activities that are rotated each term, to keep our Youth Offer fresh and exciting. Level: Beginners and intermediate Do you want to play like a professional NBA player? …dribbling and ball-handling past defenders? …If the answer is yes, then this course is for you. Initially, you will learn the basics such as dribbling, shooting, defence, teamwork, self-confidence and develop your skills. 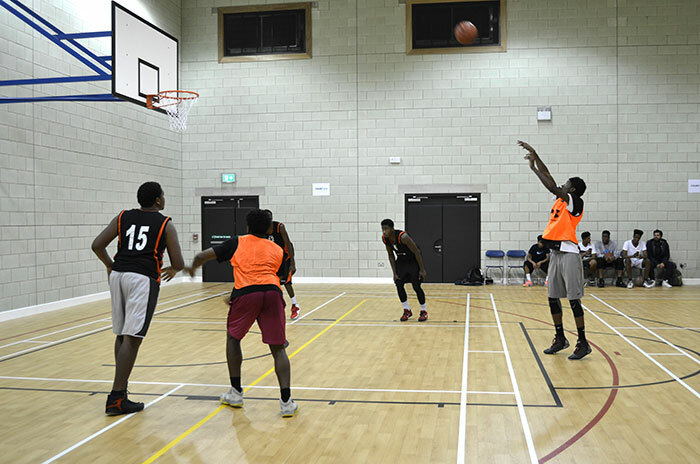 Abodunrin Olaseni who was one of our members began much of his basketball career at YMCA Walthamstow. He states ‘coming here was an opportunity to do and find something I was good at’. Abodunrin is now signed to Iowa State University to play basketball in the USA. No need to book just turn up at the start of the session. Why not get out and about, get active and get fit! Please provide Zip Oyster card for proof that you are under 16 years old and still at school. Everyone taking part in our activities needs to register. If you are not already registered, please download and complete the registration form and email back to us at Youthteam@ymcaeastlondon.org.uk or bring along to your first session.